Scanners can be bulky and time consuming to use. 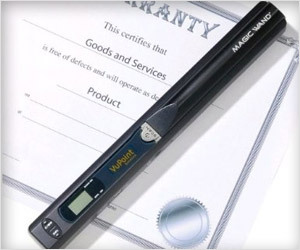 This is not true for “VuPoint Solutions Magic Wand Portable Scanner”. This small scanner can quickly scan documents, newspapers, magazines and more.